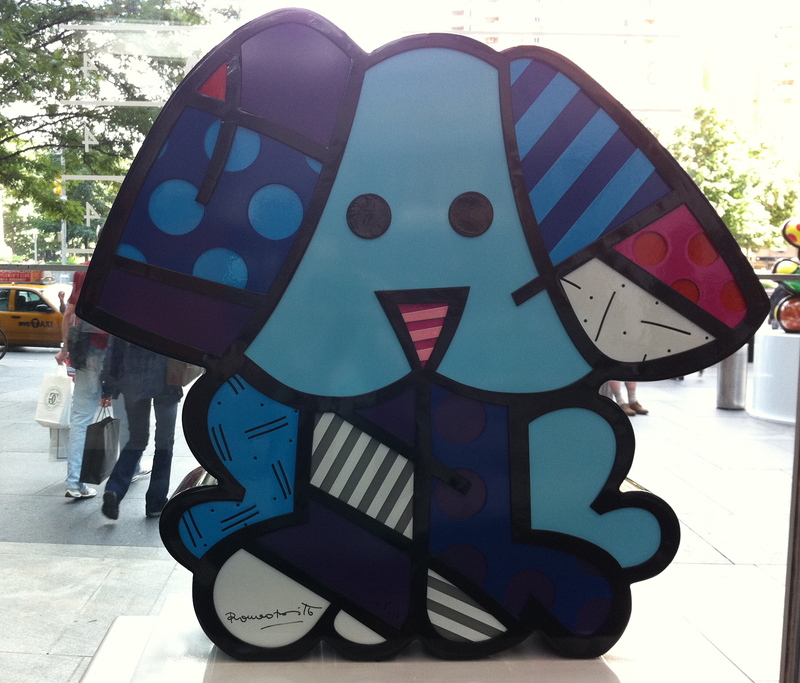 Last time I was walking by the Time Warner Center, I noticed a colorful happy-looking teddy bear sculpture (that reminded me a bit of Hello Kitty). 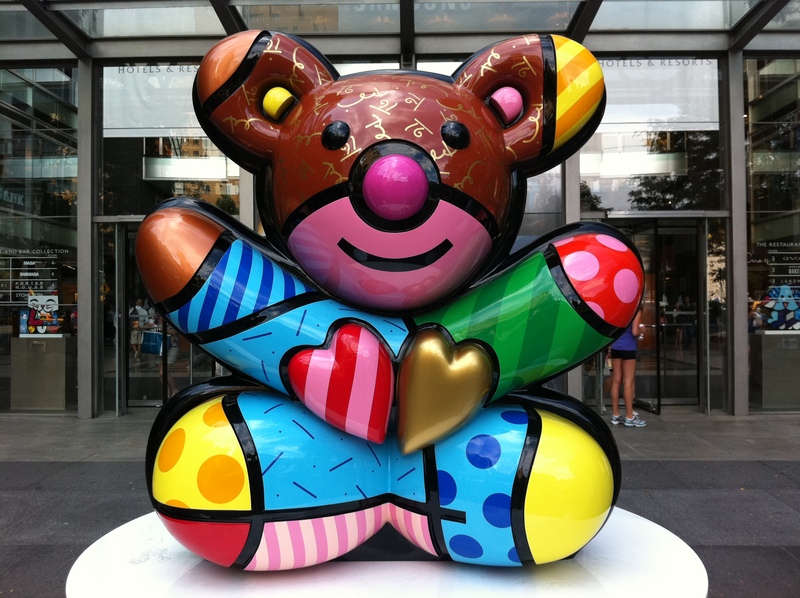 I stopped to find out more and learned that it was created by Brazilian artist Romero Britto to benefit Best Buddies International, a nonprofit organization that enhances the lives of people with intellectual disabilities. 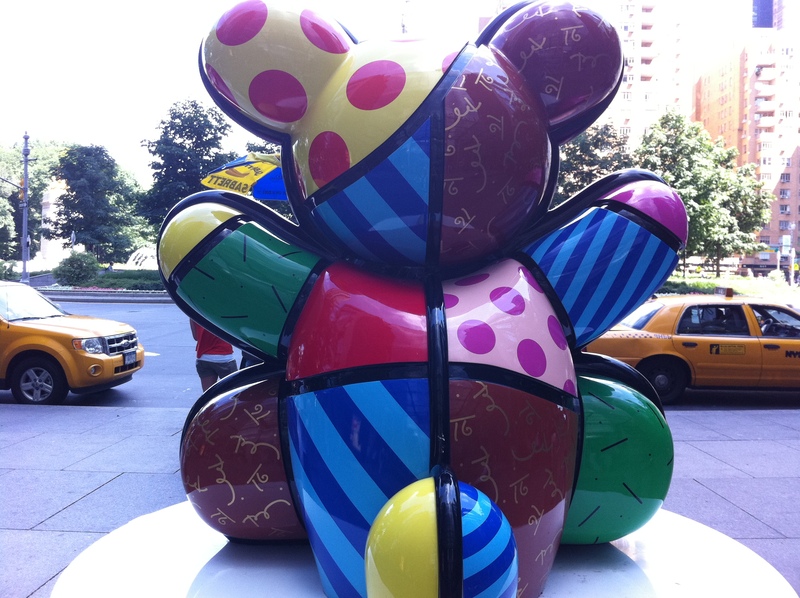 I’ve attached photos below of the Best Buddies Friendship Bear right outside the front entrance to Time Warner and the cat and dog sculptures inside the main doors of the lobby. 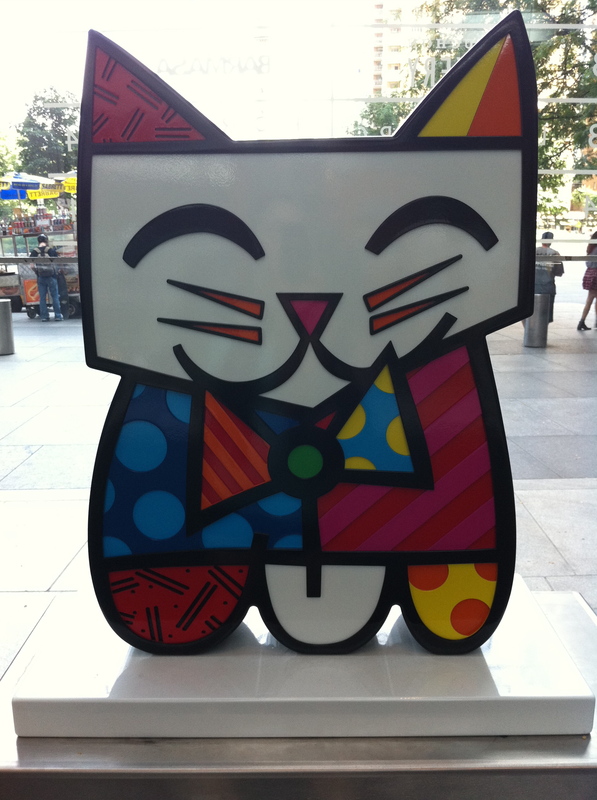 Perfect for summer fun!